President of McCarthy & Smith Consulting, Maureen I. McCarthy, PhD, advises public and private entities on a range of topics including national security, global threats, environmental security, energy security, and the impacts of global climate change. 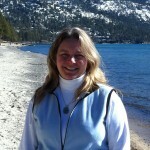 Dr. McCarthy is also a faculty member of the University of Nevada-Reno and the Executive Director of the Tahoe Science Consortium where she managing a multidisciplinary research program designed to provide the scientific basis for policy, regulatory and management agencies in the Lake Tahoe Basin. Dr. McCarthy serves on the National Security Advisory Board for the University of Maryland and Chair of the Board of Directors for the Tahoe Collaborative Association of Nonprofits. Before founding McCarthy & Smith Consulting in 2009, Dr. McCarthy was a member of the Senior Executive Service with nearly two decades of experience directing programs in science, technology, university education, intelligence analysis, and national, homeland, and international security policy. She served in the White House as a member of the transition team that established the Department of Homeland Security and was the first Director of Research & Development for DHS where she established a diverse portfolio of programs to anticipate, respond to, and recover from terrorist attacks and environmental disasters. Prior to moving to DHS, Dr. McCarthy was Chief Scientist for the National Nuclear Security Administration managing nuclear weapons and non-proliferation programs and the first Defense Policy Fellow of the American Association for the Advancement of Science serving in the Office of the Secretary of Defense. She came to Washington, D.C. from the Pacific Northwest National Laboratory where directed the Interface Physics Group. Dr. McCarthy was a Lady Davis Postdoctoral Fellow at the Hebrew University in Jerusalem, Israel and holds a Ph.D. in Chemical Physics from the University of Colorado and a B.Sc. in Chemistry from Boston College. She is an active member of the AAAS, Women in Nuclear, the American Chemical Society, the Cosmos Club of Washington, DC, the International Aquaponics Association, and the League of Women Voters.